Christopher Bramell is a 23-year-old sales assistant and personal trainer from Merseyside, England. 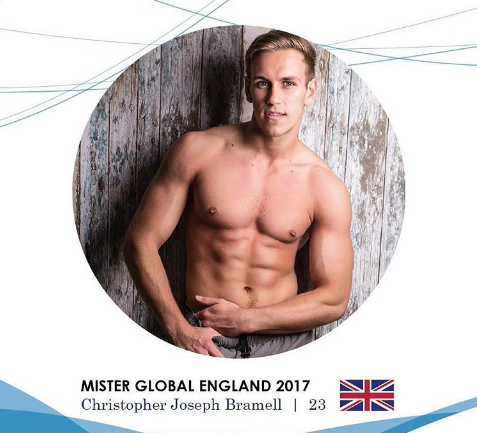 As a Mister England titleholder, he also serves as a charity ambassador who champions for women and children with cancer. He is an active person whose interests include football, walking, gym and golf. He is currently training to be a TV presenter but has set his future sight on owning a gym and fitness clothing brand.